It was quiet that day, the guns and the mortars, and land mines for some reason hadn’t made a noise. The young soldier knew it was Sunday, the holiest day of the week. 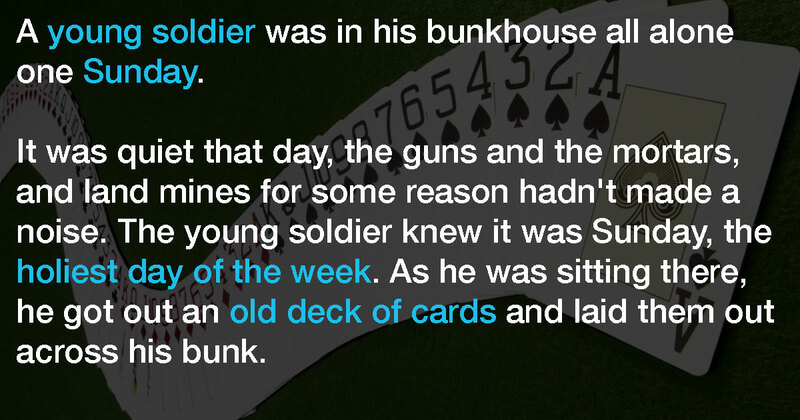 As he was sitting there, he got out an old deck of cards and laid them out across his bunk. 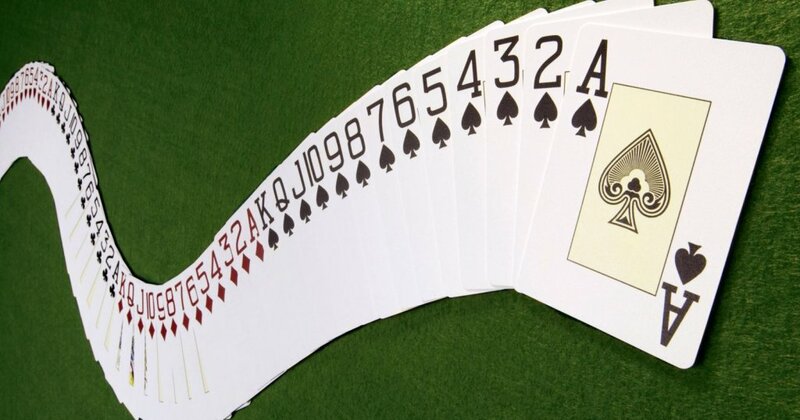 “You see the Ace, Sergeant; it reminds that there is only one God. Even in a war zone where certain religious objects are forbidden, no one can truly vanquish your faith. You just have to get creative and look around you.